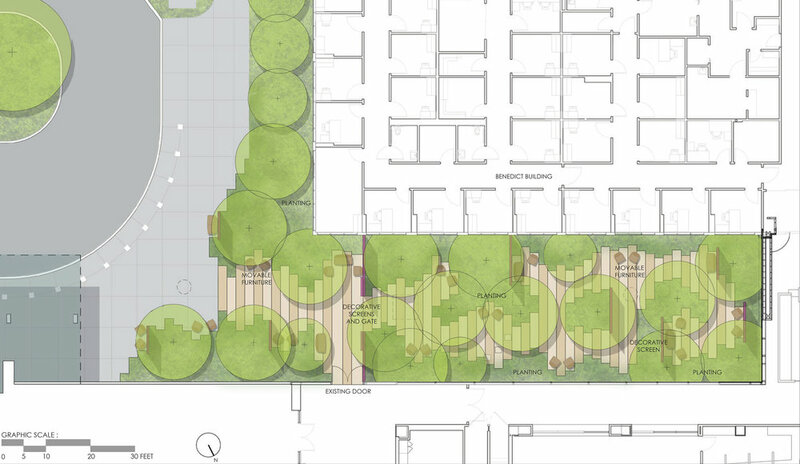 Ryan Associates is working with UMass Memorial Medical Center and the University of Massachusetts Medical School to design and build a healing garden. The first phase of the project was to generate conceptual design to further discussion and provide materials for fundraising. Three concepts were developed into ¼” scale physical models made out of wood and acrylic. 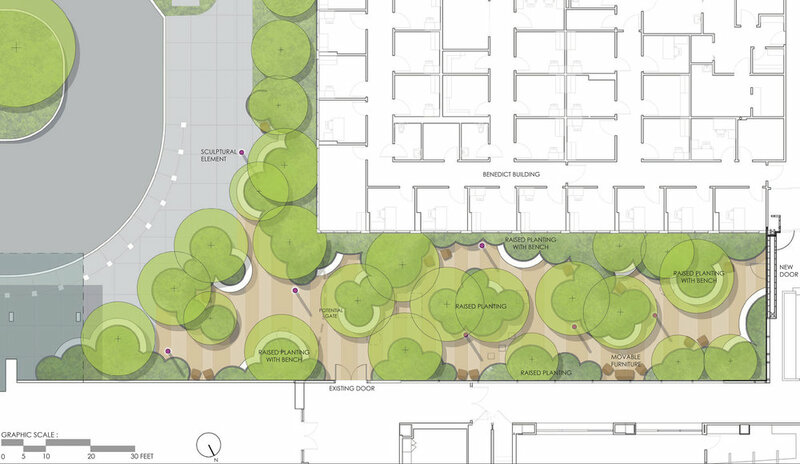 The spaces are designed to promote connection with nature and provide respite for patients, families and caregivers. This project is currently in development.